Averages often shroud insights, which is why we should always apply segmentation to our data analysis. 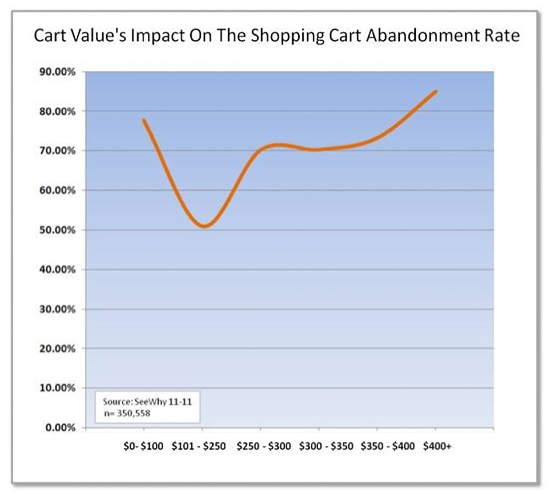 A fantastic example of this is recent findings by by Seewhy, which analyzed 264,631 abandoned carts and found a very strong relationship between the dollar value of abandoned shopping carts and abandonment rate. Check out the 2 spikes in the chart below. Surprised by the percentage of low dollar value cart abandonment? This is reasonably explained by the shipping cost to item cost ratio. If an $18 sweater costs $15 to ship, the customer is more likely to jump ship. Another peak happens around the $100 mark, which Seewhy believes is due to the psychological impact of $100 vs. $99 or less. Interestingly, higher ticket carts are abandoned almost half as often as ~$100 ones. Other price points that spiked abandonment were $250, $400 and $500. Understandably, very high ticket items and orders require more consideration. Knowing abandonment rates by cart value segment allows you to create an informed optimization strategy to reduce abandonment and recover abandoned carts. 4. Test your free shipping threshold. One of Elastic Path’s own A/B tests found conversion rates did not change between $100 and $60 shipping thresholds. Be sure to measure both conversion/abandonment and average cart value and revenue/profit. 5. 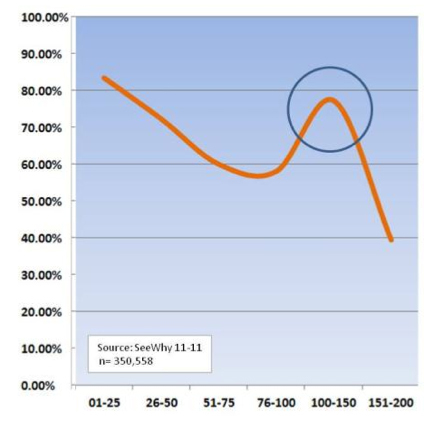 SeeWhy recommends you investigate abandonment rates for individual products, and cross-checking the product detail page and shipping costs for these items to find clues as to why these products may be abandoned much. For example, a buy online pick up in store option may help convert certain items. 6. 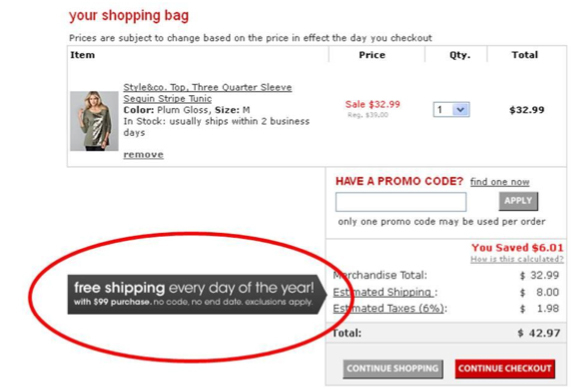 Think about pricing psychology when determining shipping threshold. SeeWhy’s ebook points out a good psychotactic used by Macy’s. Instead of a minimum of $100, it offers free shipping on carts $99 and above. 7. Track visits to purchase for higher value carts. Make sure your cart persists for 60-90 days. 8. Trigger remarketing emails (for cart recovery) based on cart value, considering those who abandon lower valued carts are likely motivated by different copy and offers than considered, high value purchases. 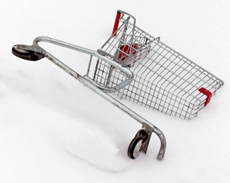 The full research report The Science of Shopping Cart Abandonment is available as an e-book download, with more information on strategies for cart recovery.